As the Australian dream of owning your own home becomes much less achievable for many people due to the lack of affordable housing available, many families are choosing to share living arrangements with other family members or even close friends in order to save money, or even just be able to have a roof over their heads. One of the ways they are achieving this shared living is by investing in a Granny flat Perth. Granny flat plans range from 1 bedroom with no kitchen or bathroom right through to fully self-contained miniature homes with garages. Many companies offer kit homes which can simply be assembled on site and this is a very cost-effective way to build however Great Living Homes build their granny flats the same way they would build a house – with a concrete slab base. The great thing about having a granny flat separate to your main home is that you can maintain your personal space by having a number of family members living in the ancillary dwelling rather than crowding the main home all the time. If the extra bodies do get into a position where they can move out into their own home, then the granny flat can be rented out as an extra income source or left vacant for when you have guests staying. The granny flat also adds value to the main dwelling in the event the owner wants to move on from this property. Granny flat builders Perth are everywhere! Always do your research before selecting a company to build your granny flat, the same as you would for building a house. Great Living Homes offers a range of options including rare two storey granny flats which you could mistake for a full size home with a double lock up garage. These granny flats all comply with Government requirements for ancillary accommodation and the builder is very flexible in their designs, always willing to make changes to suit the buyer. 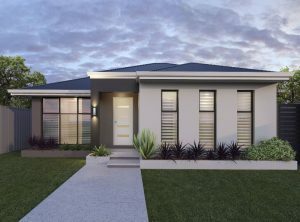 If you’re thinking about moving family in with you to save money or you simply want a granny flat to rent out for extra income, check out the granny flat plans that Great Living Homes have to offer. You won’t be disappointed!